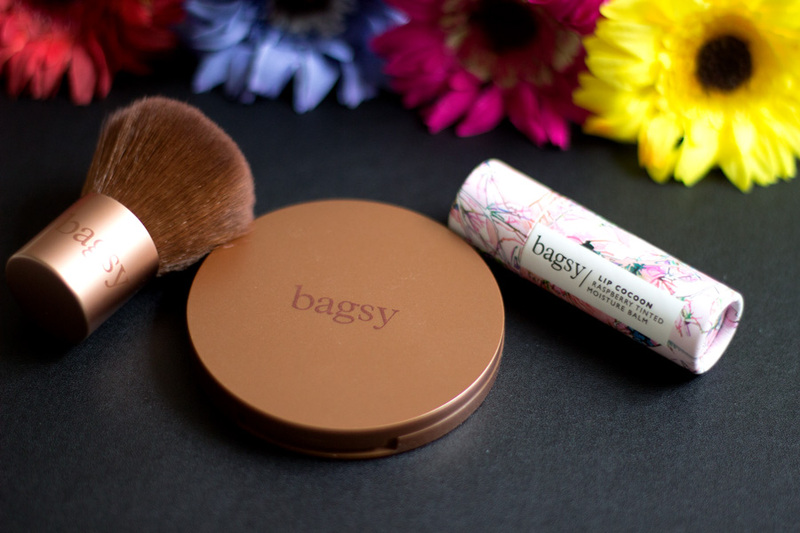 I already featured these lovely Bagsy Beauty Products in my "What's in my Makeup Bag?" post last week. I was kindly sent these products to try out and I can tell you I really like them. You all know I can't resist beautiful packaging and these Bagsy Products hit the nail on the head. 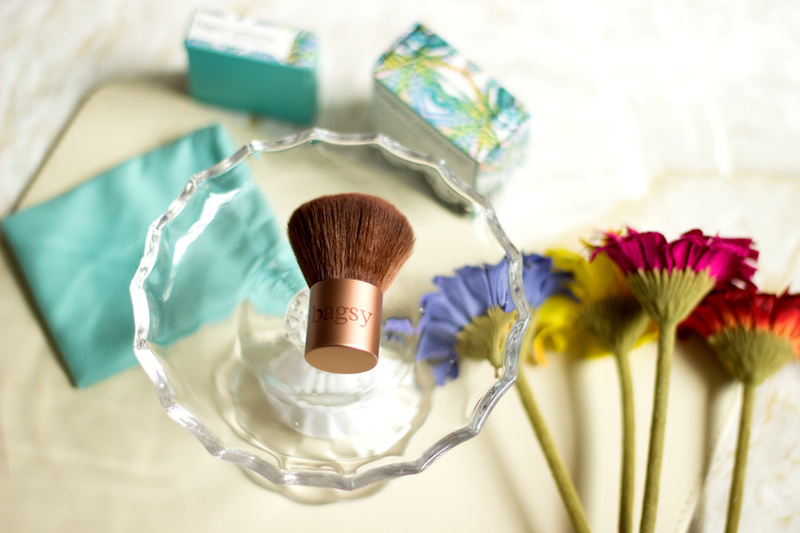 They are so dainty and they really stand out among my other makeup bag products. You can tell that a lot of thought has been put into their production. I am not surprised about that because the developers of Bagsy Beauty have many years of experience in the beauty world. They have designed/developed many products for global beauty brands so they do know what they are doing. 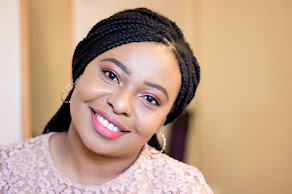 I received three products from their range: The Bagsy Beauty Kabuki Brush*, Bagsy Beauty Ray of Sunshine Bronzer* and Bagsy Beauty Lip Cocoon in Raspberry Lip Tint*. 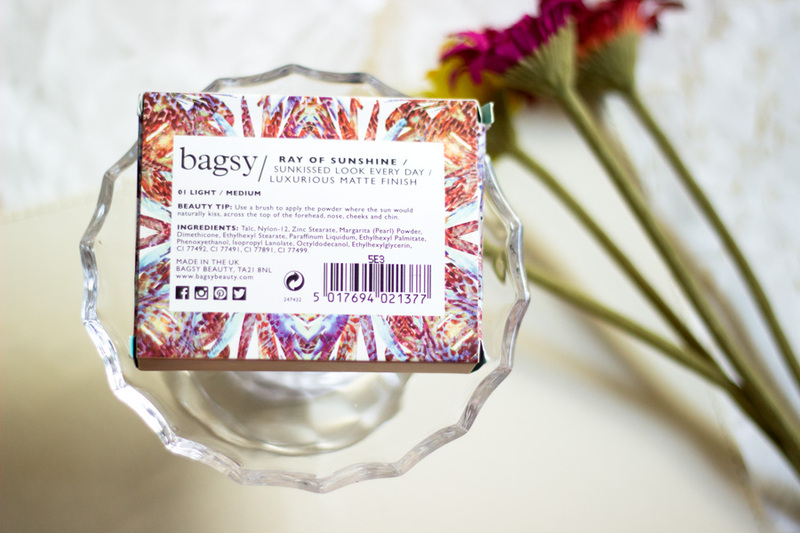 One thing that really stands out with the Bagsy Beauty Products is their beautiful packaging. I absolutely love all of them even the outer packaging is so pretty. 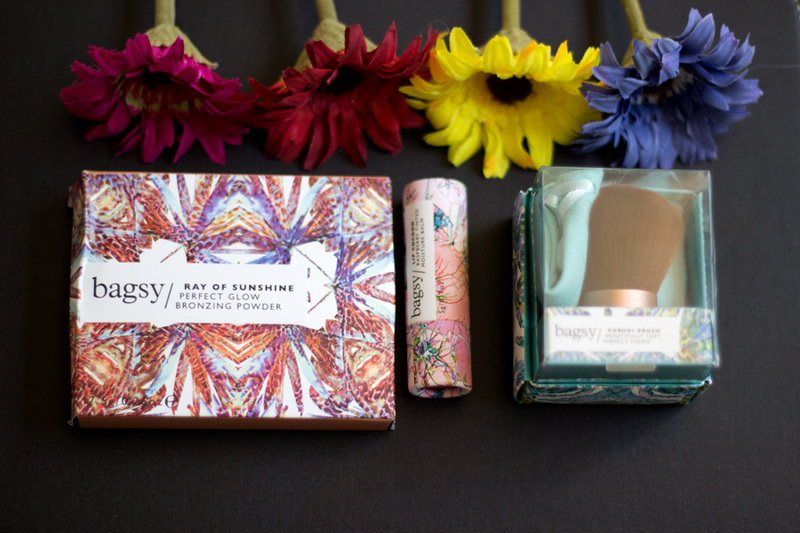 They have floral and flowery designs all around the packaging and the mix of colours is really eye catching. I particularly like that they are soft and feminine without looking too girlish or childish. I find that some designs which aim to be floral/flowery tend to go overboard and everything looks so childish. 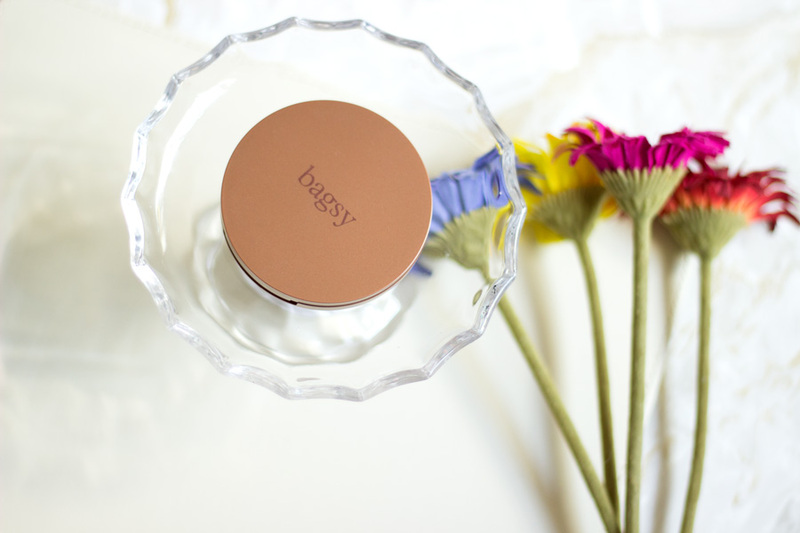 I am so pleased that Bagsy Beauty hit the midpoint such that the packaging is still appealing to many. 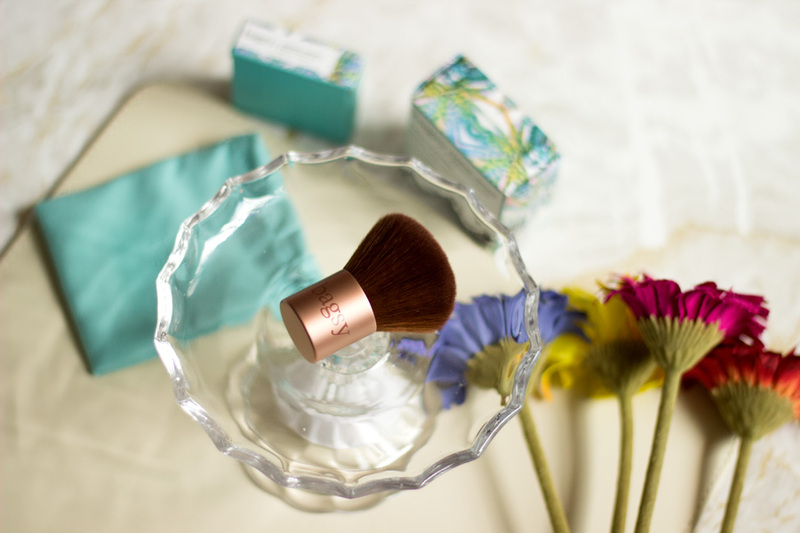 .I secretly wish the packaging of the bronzer and kabuki brush had the beautiful floral design embossed on them rather than the outer packaging. However, bronzey gold colour is still quite classic. 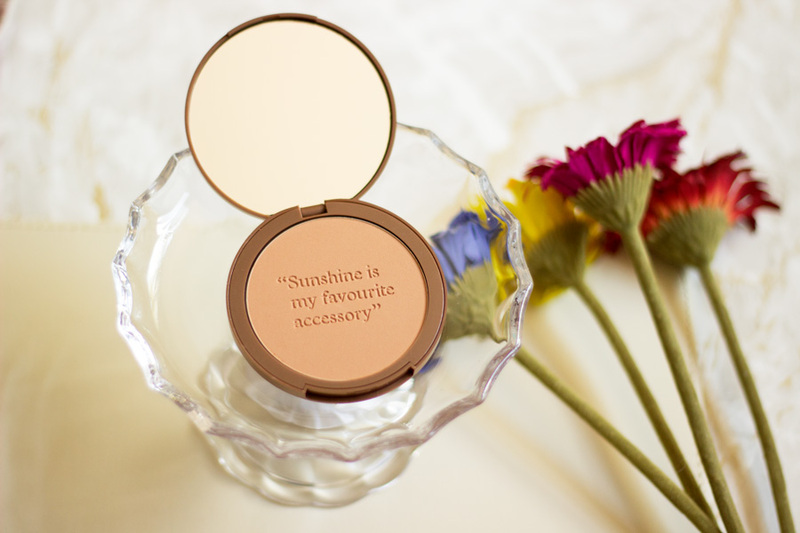 I particularly like the quote embossed on this bronzer and I think it is really nice that they have included these quotes in some of their products. I almost did not want to use it because I didn’t want to create a dent in the quote. It looks really pretty but it also does the job so it's not just another pretty face. Although it is designed as a bronzer, it works as a nice powder for my complexion as it's too light a bronzer for my complexion. 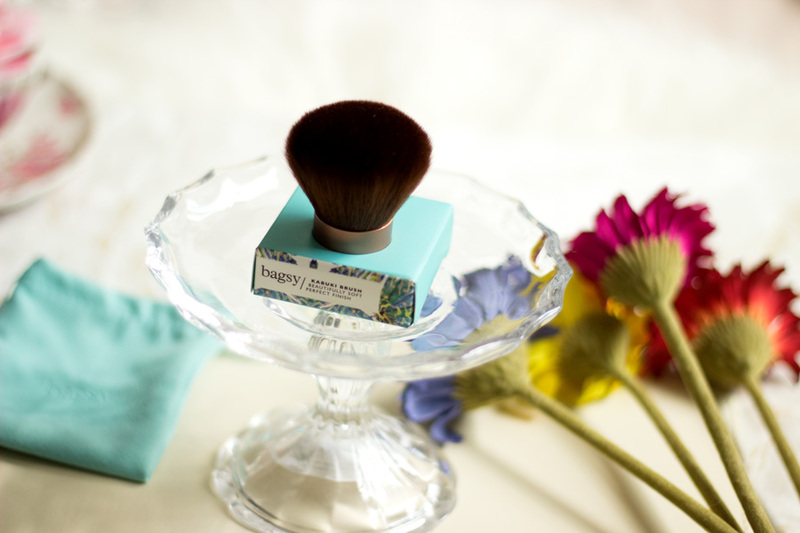 You all know I am all about finely milled powders and this is definitely a good example. One of the main reasons I really like it is because it does not have any glitter or shiny particles in it. Instead, it has a matte finish but with a nice glow which makes it the perfect piece for my makeup bag. 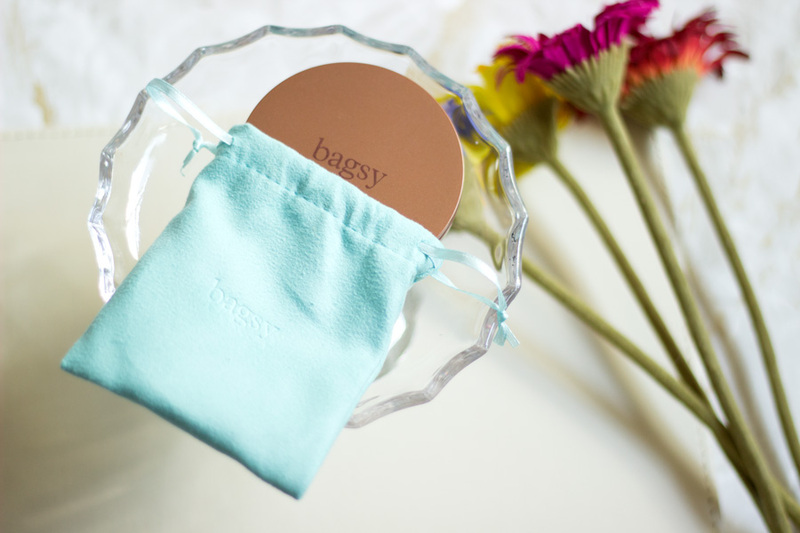 All the Bagsy products are designed for the bag as you would have guessed from the name so they are quite compact. 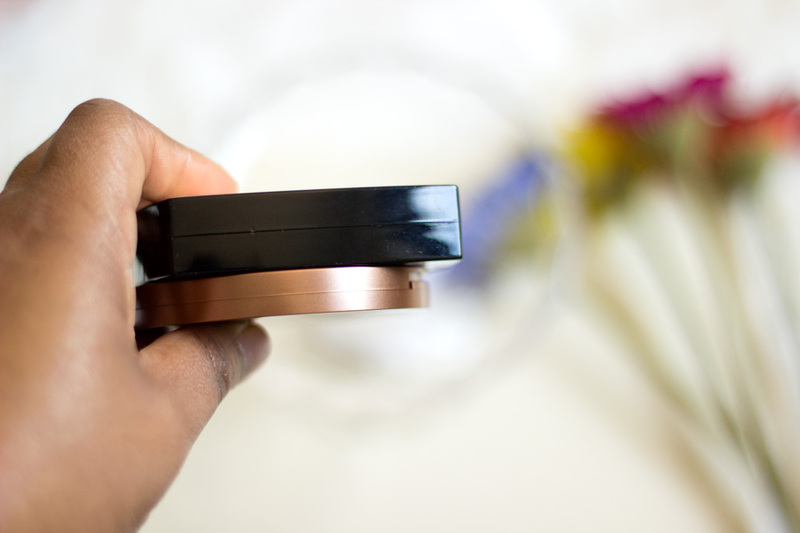 This bronzer’s packaging is super thin (I compared it with my Chanel Les Beiges Powder to show how thin it is) and it fits inside the smallest purse you can think of. It also has its own pouch but I prefer to pop it in my makeup bag as is. 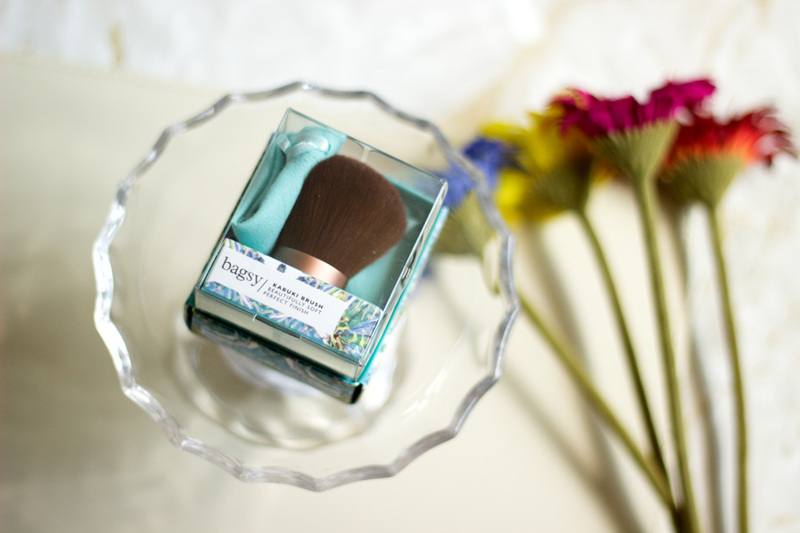 I have really enjoyed using this bronzer and I even forget it’s not a powder because I love the results it gives me. I am sure I don’t even need to tell you what attracted me to this lip balm. Yes, you guessed right!! The packaging is super cute and I love all the floral delicate designs. It is perfect for Spring/Summer but I know I would be whipping it out still during Winter. I was busy admiring the packaging that I did not open it when I first got it because I thought it was a regular lip balm. I was so wrong!! 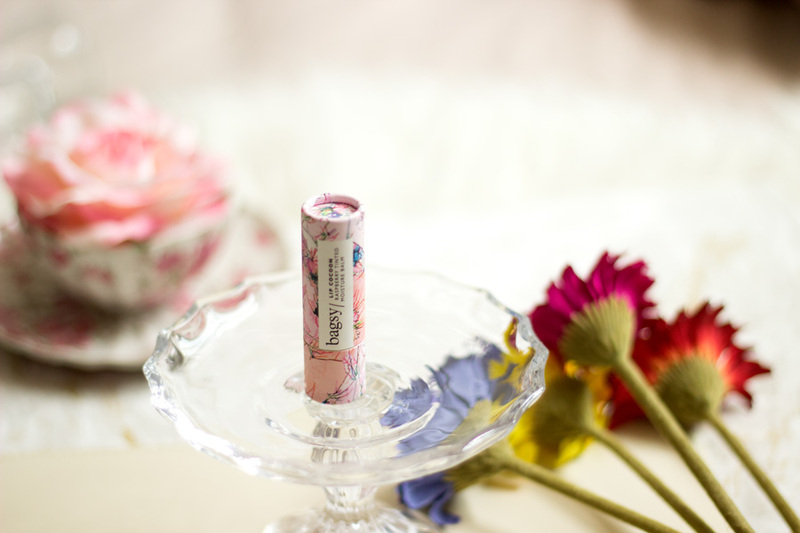 It’s a tinted Lip Balm with Raspberry scent/flavour and it smells and tastes so lovely. It also comes in a lipstick bullet so you can roll it up easily and down and I really love this nice touch. I love that it still adds some colour to my lips because some lip balms don’t show up on my lips as they are a little dark . I was so delighted that this lip balm did. It gives a really soft wash of colour and I feel this shade will suit everyone because it is very flattering. 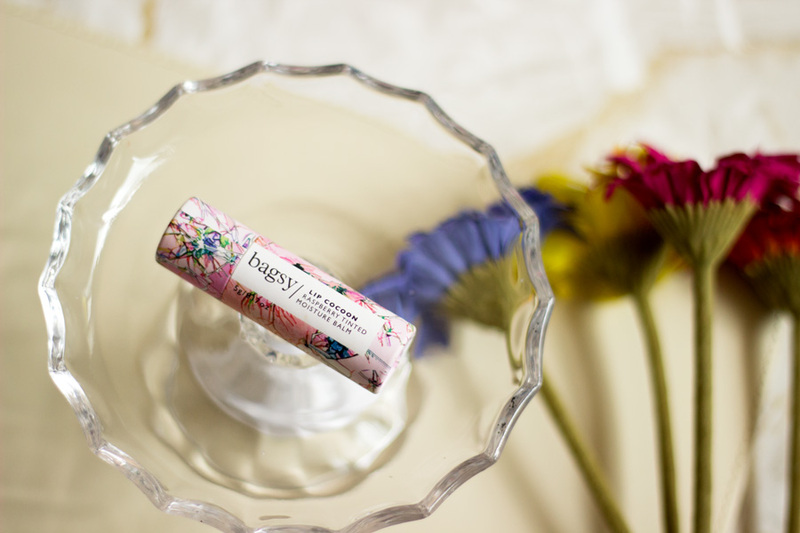 It glides on easily as you would expect from a good lip balm and leaves a nice lustre to the lips but not shiny. I do really like it and at the price of £7, I don’t think it would break my bank. It’s definitely one to repurchase. They are exclusively sold on the Feel Unique site who offer worldwide delivery so you can get your hands on these lovely products no matter where you live. They currently have some items discounted so you can make use of this offer to try some products out. 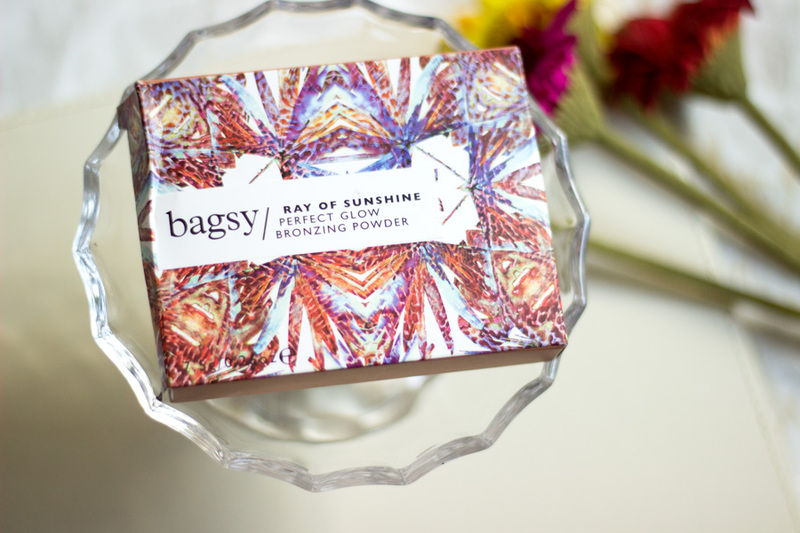 The Bagsy Ray of Sunshine is currently discounted from £18 to £12 which is a good price to pay. 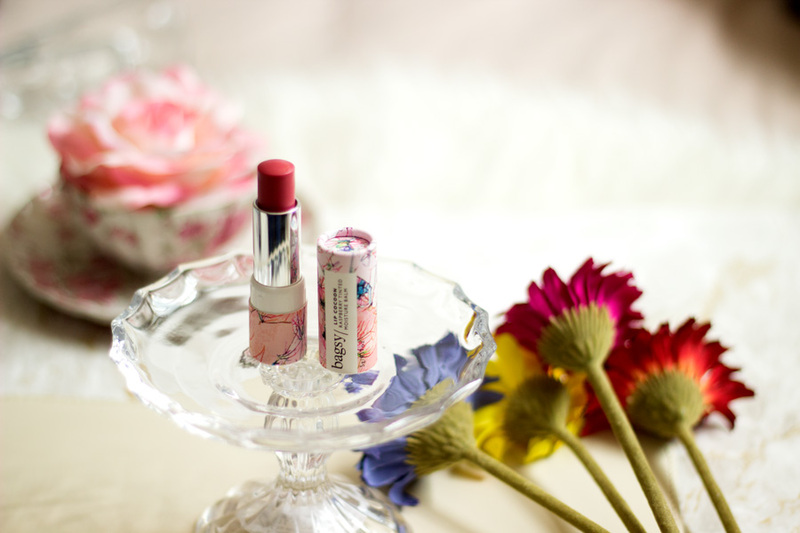 I really recommend the Lip Cocoon because it is cheap and cheerful and it works a treat. 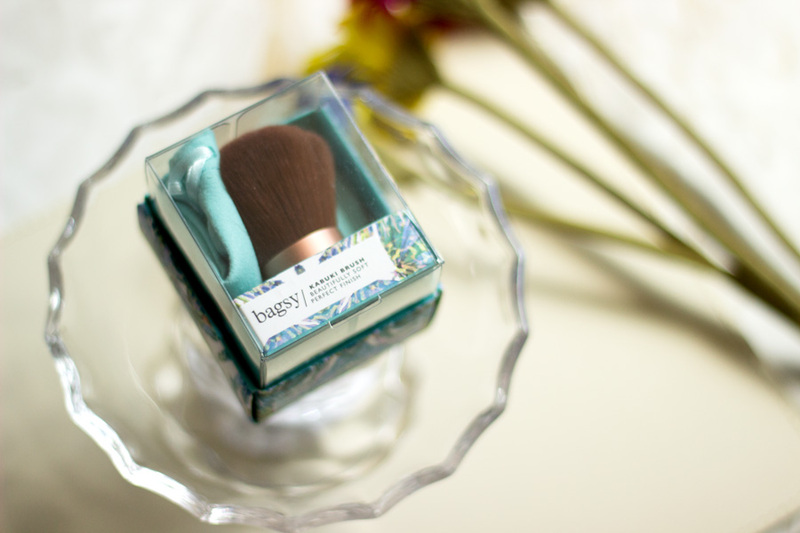 The Bagsy Kabuki Brush is one I also recommend and I know it seems pricey at £15 but it is definitely worth a try. I feel some of the products within the range are slightly expensive but they are good quality. 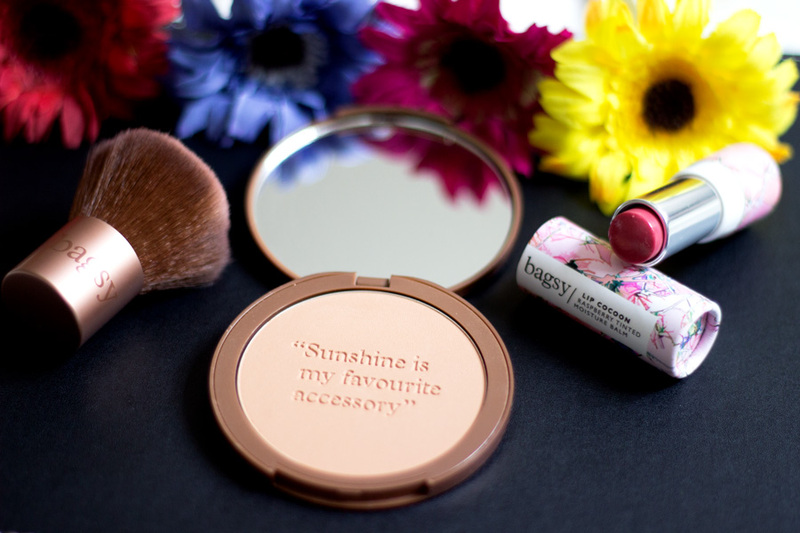 The Ray of Sunshine Bronzer does seem a little pricey at £18 but now that it is discounted to £12, I think it is more within reach. I love! 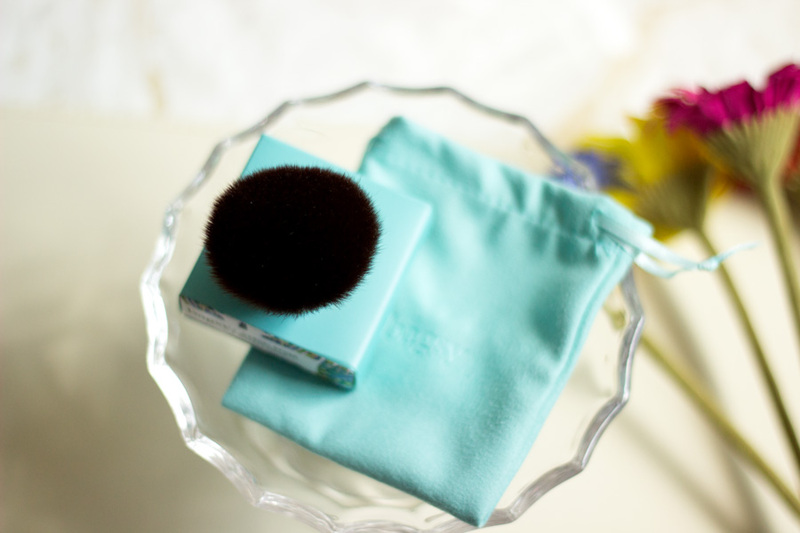 The kabuki brush hairs look so velvety and soft...and I would find it soo hard to use the bronzer too. The quote on it is really different and wins points for uniqueness in my books. The floral packaging, love! Never heard of bagsy till your WIMMB post and never tried out their stuff, but I like what I see so far.